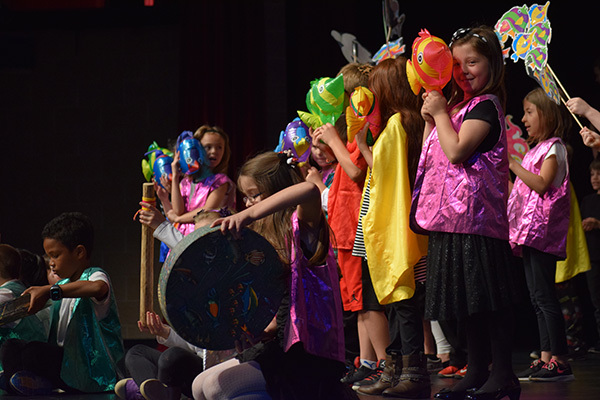 Leggee Elementary School will host its 2nd/5th grade concerts on May 16, 17, and 19 at 7:00 p.m. each night at the HHS Performing Arts Center. Their music teachers, Mary Bell and Amanda Krzyzak have been working with students on magical performances from Disney favorites, such as Under the Sea, Never Smile at a Crocodile, Be Our Guest, The Mickey Mouse March, It’s a Small World, songs from Mary Poppins, and many more. Even the teachers have cooked up a special dance for Be Our Guest. There will be guest appearances from Mr. Bill Leggee, Superintendent Dr. John Burkey, and even Mr. Richard Myers (affectionately known as “the Culvers guy”). Audience members can also look forward to hearing Mr. Iddings sing his very own version of “Let It Go” from Frozen. Everyone is invited to these free performances.